Josh Gad x Penguin in ‘The Batman’ Movie? 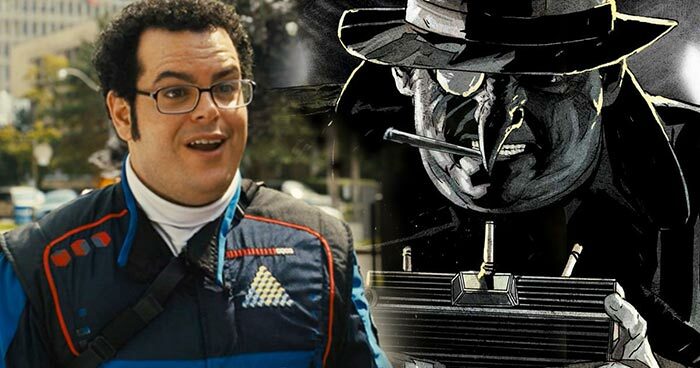 Josh Gad may be coming to the DC Cinematic Universe as the crafty Cobblepot gentleman, Penguin. When Ben Affleck was cast to be Batman/Bruce Wayne there was an astounding amount of push-back from the beloved DC fanbase due to his odious role as Daredevil. However, after his performance in Batman V Superman, Affleck’s haunting hero starring past was erased. Soon after the release, Affleck would move forward with the planning of a new solo Batman film with little to no information but with the past few months there’s been some developing for the new project. One piece of news that seemed to be swirling around last month is one of Batman’s major villains, Penguin. Last month, Josh Gas posted a picture of The Penguin on Twitter without a caption. It’s become a sort of new way for actors and actresses to reveal their involvement in a superhero movie or spinoff. For example, Hugh Jackman’s black and white posts for Logan, Tom Hardy revealing his role as Venom, Ben Affleck on the set of Batman v Superman with director Zack Snyder. Last Night, the Frozen and Beauty and the Beast actor elevated the rumor to new heights. The photo posted by Josh Gad shows himself posing inside the DC Comics offices with DC Films presidents Geoff Johns and Jon Berg. It’s also seen that Gad is holding a Batman comic featuring The Penguin. “Nothing to see here…,” he wrote on Twitter.